You have 5 seconds to attract your users, investors/VCs, whacha gonna do? You do know that you only have a mere 5 seconds to capture a visitor's attention, and once they're gone, most likely they're never coming back. You have burned that bridge. So, what can you do to make sure you stay, become a customer, and spread the word for you? The answer is...creating capturing content so easy for them to absorb and understand that they will know immediately your product is what they need. 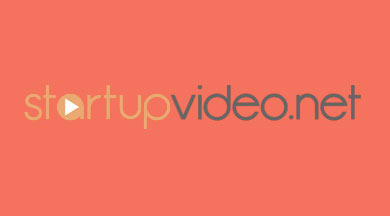 At $399 (value $665) or $199 (value $399), startupvideo.net is one of the most affordable solutions out on the market. Both options will give you 30-second videos that will take your brand awareness to a whole new level. Grab today's deal and get an adorable animation custom made to represent your business. The 30-second video will put a fresh face on your company while providing a clear explanation of what you do and why it's valuable. Speaking of value, this video can be done for you at 40% off if you scoop up this offer, meaning you spend only $399 for the whole thing. Statistics show that the pervasiveness of cutesy animations on the internet has caused a revival in the fervour for animated content among adults. In short: people love cartoons. The neurological source of this development is still a mystery. Maybe it's the power of nostalgia, and longing for our youth. Maybe our attention spans are dwindling faster than we can calculate, and we're becoming too lazy to read every little word. Maybe clicking a button to play a short video is all our degenerating brains can handle. The fact is, though, that when we click that button and take in the video content, it sticks in our brain and makes a profound impression. When your Mum used to tell you that cartoons would rot your brain, she wasn't being entirely truthful. She most likely felt threatened by your complete absorption into them, worrying that you would get sucked in and never come out. Video engages the viewer in an interactive, inclusive way that no other medium does. What will I get from startupvideo.net? 1. Attract investors - Tell people your business proposition, focus, or company story with icons, concepts and creative animation to connect with your audience like no other medium can. 2. Increase your ROI - Highlight your products or services in an interactive, animated form – Convince customers to make that phone call or purchase. 3. Engage your customers - Make the benefits obvious to your visitors – Convert website visitors to customers, increase sales. Whichever way you choose to go, the jury is out – people love video. Over 150+ startups around the globe like AdBlockPlus.org (over 200 million downloads, world’s #1 browser extension) & Parkwhiz.com (manages NFL SuperBowl™ parking) have preferred StartupVideo.net to become successful through the medium of explanation video and building their digital brands. We do work that people seek out, that changes things for the better, to bring ideas that spread to the world.